Hyper-V vs. VMware: Which is cheaper? 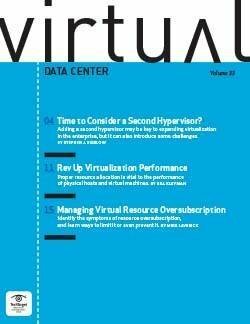 ArticleHyper-V vs. VMware: Which is cheaper? On paper, Microsoft's Hyper-V costs less than VMware ESXi, but several gotchas drive up its overall cost. Microsoft claims that Hyper-V is cheaper than VMware . But there are several hidden costs that, depending on the user scenario, may make VMware the more cost-effective option, analysts and users say. Microsoft touts Hyper-V as a lower-priced virtualization option than VMware's ESXi, but for straight server consolidation, it's unclear whether Hyper-V is that much cheaper than VMware because of Hyper-V's system requirements and lower consolidation ratios. Management features aside, VMware boasts higher consolidation ratios than does Hyper-V and can run on older CPU models, while Hyper-V runs only on the latest -- and most expensive -- CPUs with virtualization-assist technology, and it uses more physical memory per virtual machine than ESX. 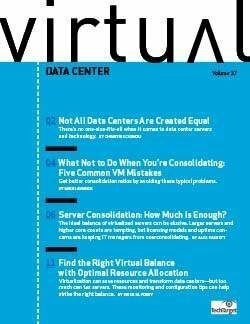 IT managers who want to figure out the ROI they can achieve from using virtualization for server consolidation should calculate their cost per VM -- the total cost of their virtual environment divided by the number of virtual machines they can run on a host, said Tony Iams, an analyst at Rye Brook, N.Y.-based Ideas International Inc. Unfortunately, comparing the cost per VM of Microsoft Hyper-V and VMware ESXi isn't entirely straightforward, and there are several factors to consider. On paper, both Microsoft Hyper-V and VMware ESXi 3.5 boast a zero-dollar price tag and provide a certain amount of functionality out of the box. With VMware's free version of ESXi, for example, users get a fully featured hypervisor with no limitations on CPU, memory, storage or networking -- at least according to VMware. 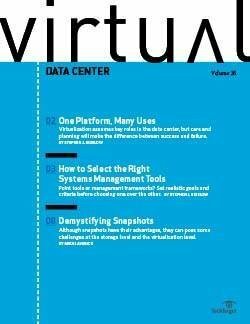 "With just ESXi, users could set up multiple nodes and run VMs on them just fine," said Timothy Stephan, VMware's director of competitive marketing. That said, "they just wouldn't get centralized management and advanced management capabilities; that requires vCenter, plus one of the VI3 [VMware Infrastructure 3] packages." But that's no different from Hyper-V, Stephan contends. "This is the same for the free download of Microsoft Hyper-V. Users need to upgrade to one of the full Windows Server 2008 Editions, plus purchase System Center [the full version or one of its variants] to get any management features." IT managers also need to consider how many virtual machines a given ESXi or Hyper-V host can support. According to VMware, ESXi Server 3.5 can be installed on servers with up to 32 logical processors (or physical cores). Each processor may contain multiple cores for up to six cores. A single system supports up to 256 GB of physical RAM, and all told, up to 128 VMs can run concurrently on a single host. At the end of September, Microsoft updated Hyper-V to support up to 24 logical processors (or cores) on a single server -- an increase from 16 -- and, assuming eight VMs per core, a maximum of 192 VMs per system. Microsoft made the move to attract large enterprises that want high consolidation ratios, said Patrick O'Rourke, Microsoft's group product manager in the Core Infrastructure Marketing, Server and Tools division. The company made the Hyper-V update "because customers are adopting fully configured four-way servers to meet their computing needs. We expect OEMs to adopt Intel's six-core Dunnington processor and ship them on four-way servers, resulting in 24 logical processors," O'Rourke said. It's important to note that the support numbers set forth by vendors are often just theoretical. 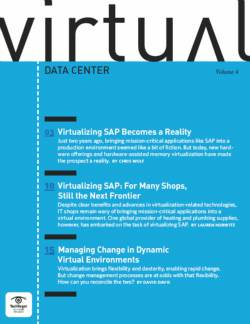 "The maximum number of VMs that are supported on a hypervisor are engineering limits. In practice, the actual number of VMs that can be deployed on a server depends greatly on which applications run in the VM and the balance of their demand on CPU, memory, and I/O," Iams said. "Reaching the absolute maximum number of VMs on a platform is a very best-case scenario." According to VMware, a more realistic consolidation ratio for ESX is one to three VMs per processing core. Thus, a two-socket, dual-core system (with four processing cores in all) could support four to 12 VMs per host, depending on the weight of the workload and the type of server. Perhaps a better way to compare the server consolidation ROI of ESX versus that of Hyper-V is to take a real-world workload and price it out for each system. For the sake of argument, let's compare the cost of 30 virtual machines on three dual-processor hosts. To do so with VMware, the best option is probably to buy the VMware Infrastructure 3 Foundation Acceleration Kit, which supports up to six processors and includes management via vCenter Server Foundation. Without support, the list price is $2,995. The lowest-priced support option is a one-year license for Gold support at $3,624. That compares favorably with buying VMware Infrastructure 3 Foundation Edition which is priced at $995 per two processors, or $2,985 for three systems, not including support. With one year of Gold support, the license cost increases to $1,540, or $4,620 for three systems. Hyper-V is free to download as a standalone virtualization product, but Microsoft's licensing requirements complicate any straight comparisons with VMware ESXi, said one system integrator that works with both virtualization technologies and that requested anonymity. *Though Microsoft says Windows Server 2008 is not required to run Hyper-V, the hypervisor is tightly integrated with Windows and the majority of Hyper-V users appear to be Windows users, according to analysts and experts. This may be because Microsoft only supports Windows and SUSE Linux Enterprise Server 10 as guest OSes at this time. So, when installing Hyper-V with Windows, a 64-bit version of the Windows Server 2008 operating system is required to install Hyper-V, and one should consider that cost. Using Windows with Hyper-V also requires proper licenses for the OS installed on VMs, called Client Access Licenses (CALs), which is Microsoft's name for the licenses issued for users and devices to access a particular edition of Windows Server, according to Rajiv Arunkundram, the senior product manager of Windows Server Marketing at Microsoft. 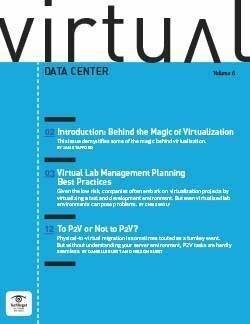 *It should be noted that any virtualization platform acessing Windows, Including VMware, requires CALs. "A Windows Server 2008 CAL is required when a user or device accesses or uses the Windows Server 2008 server software," Arunkundram said. "However, if access is through the Internet and is anonymous -- for example, when browsing a public website -- a Windows Server CAL is not required. Also, if that user is an external user, another option is to acquire an External Connector license." 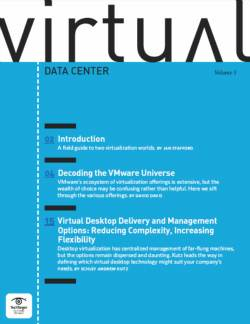 The CAL requirement can significantly boost the cost of Microsoft virtualization and there is no analogous charge in the VMware world, according to the systems integrator. In short, given our example scenario (with 30 VMs on three dual-processor servers) Windows users have to cough up some dough for CALs. A company with 100 employees/desktops that need to access 30 servers (virtual or physical) are required to buy a CAL for each user, Arunkundram said. On the Microsoft website, Windows Server 2008 Standard Edition with Hyper-V, which includes technical support and 10 CALs, retails for $1,999. Thus, for three servers with two CPUs each running 30 VMs, the cost of running VMware ESXi with the Foundation Acceleration Kit is $3,624, or $4,620 for Foundation Edition licenses with support, while running Hyper-V would cost $1,999. While the numbers show that Hyper-V with Windows Server 2008 Standard Edition is less expensive than VMware's basic options, there are other cost considerations to weigh. 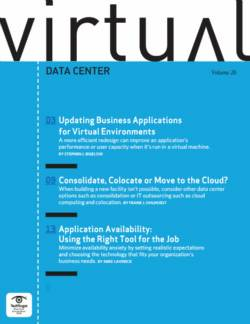 Of course, virtualization licensing prices are only the beginning; virtual environments require proper amounts of memory to ensure VMs get enough performance. VMware and its users claim memory utilization as an area in which the ESX offering has a cost advantage over Hyper-V.
For one thing, Hyper-V uses more memory per VM than does VMware ESX. VMware recommends administrators allocate between 1 and 2 GB of RAM per VM, depending on the workload and OS. Thus, a server with 8 GB of RAM would support between four and eight VMs. Microsoft, however, recommends a little more than 2 GB of RAM per Hyper-V virtual machine. VMware's hypervisor also includes a memory overcommit feature that allows for higher memory utilization rates than Hyper-V, therefore requiring less physical memory per host. When using Hyper-V, for example, if an administrator allocates 2 GB of memory to a VM, that 2 GB is locked to that VM regardless of how much of that 2 GB is used. Conversely, VMware's memory management technology enables ESX to automatically reclaim any physical memory that is not in use and enables another VM to use it, so no memory is wasted, a VMware spokesperson said. "Memory overcommit has a very real use case for large enterprises, and VMware has shown studies of users doing double memory overcommit. By proving that, they can argue higher density levels," said Thomas Bittman, Gartner Research Inc.'s chief of research for infrastructure and operations. VMware users also say memory overcommit is a big cost savings for large virtualization installations. 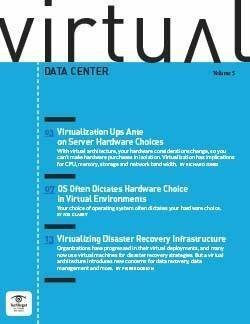 Gabrie van Zanten, a virtualization expert and author of the virtalization blog, Gabe's Virtual World, wrote a post comparing Hyper-V and VMware that said, "If you have 20 VMs, with each 2 GB assigned but they all use no more than 1 GB, then you would be throwing away 10 GB of RAM in the host that never gets used. Some VMs will stay way below their assigned memory and some will use all of it, however, after running a couple of weeks, you will find a stable average of memory and peak memory usage, thereby enabling you to scale your hosts' memory profile." Iams said though VMware likes to tout its memory overcommit feature as a key TCO advantage over Hyper-V, "it is important to note that the ability for VMs to share memory is highly dependent on the workload running on VMs, so it's a little unpredictable how much this will help costs until users model their workloads." 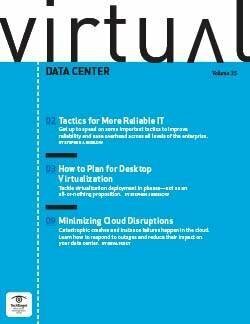 One scenario that seems to take advantage of this is virtualized desktops, Iams said. "Multiple copies of a desktop OS like Windows all run pretty much the same code, a lot of which will wind up cached in memory and hence shared between VMs, so that could make it possible to run more copies of Windows on VMware with a given amount of memory," he said. Another cost to consider when consolidating your servers is that Hyper-V requires CPUs with virtualization-assist technology (AMD-V or Intel-VT), whereas VMware runs on most any x86 CPU. Unfortunately, even after hashing out all these costs and requirements, the better deal is still ambiguous. "It is indeed tricky to assess the cost difference in a like-for-like scenario," said Chuck Tatham, the VP of business development for Cirba Inc., which sells software that helps IT map the best server consolidation and virtualization paths. "The licensing combinations are difficult to dissect and be certain about. You can come up with many combinations that favor one over the other." In fact, it may actually be the like-for-like comparison that is the major point of differentiation, Tatham said. With its overcommit capabilities, VMware would enable a larger number of VMs per host, which has a big impact on overall cost per workload," Tatham said. "The same goes for being able to save money on memory … by being able to run more VMs on a given configuration. High-density memory is very expensive. "With respect to the hardware and CPU, all new servers use the virtualization-enabled processors so unless someone plans to extensively reuse old hardware, this should not be a factor," he said. 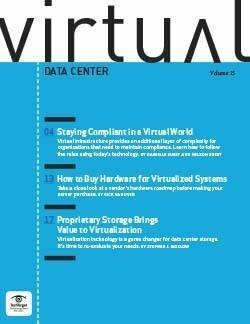 And many experts say the real expense – and value – of virtualization is in the management features. 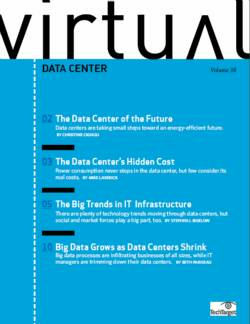 "The hypervisor is not the real cost; the most significant cost in most data centers is actually staffing, so ease of management is much more important than the hypervisor costs, especially in larger enterprises," said Andi Mann, a research director at Enterprise Management Associates. 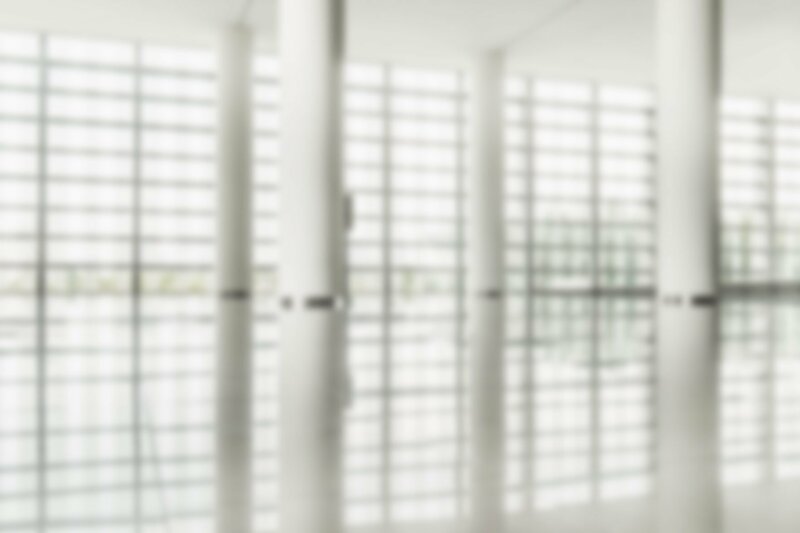 "Right now, VMware has a broader range of management tools both in-house (not just Virtual Center, but also Lab Manager, DRS [Distributed Resource Scheduler], High Availability, and others) and from third-party management vendors. Microsoft is catching up, as is Xen, but simply does not have that management ecosystem right now." 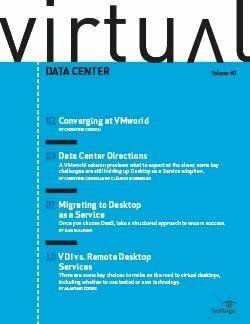 Today, analysts say VMware's management features suits it for large data centers, while Microsoft's Hyper-V is ideal for small and medium sized businesses (SMBs) that don't need as many management tools. SMB Windows users also benefit from Hyper-V's tight integration with Microsoft systems management toolset (i.e., Systems Center), Mann said. 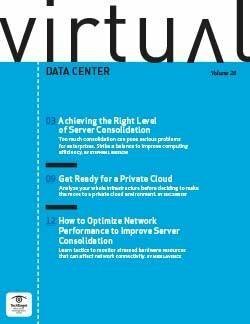 So while VMware's initial acquisition cost is much higher than Hyper-V's, VMware allows for much denser VM configurations and permits RAM overcommit for higher memory utilization rates, according to Nelson Ruest, a virtualization architect at the Victoria, British Columbia-based Resolution Enterprises. All things considered, users interested in Hyper-V today tend to be small and medium-sized businesses and remote offices that already use Windows Server; Hyper-V is built into that familiar system and allows them to run hundreds of VMs at a lower cost than VMware, Ruest said. 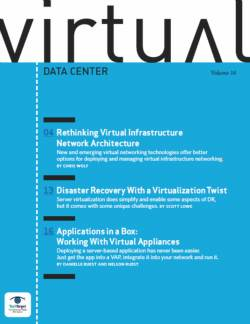 But "large data centers that are serious about VM availability and density continue to rely on VMware, not the first version of Hyper-V," Ruest said. *Indicates a clarification added after the initial publication.